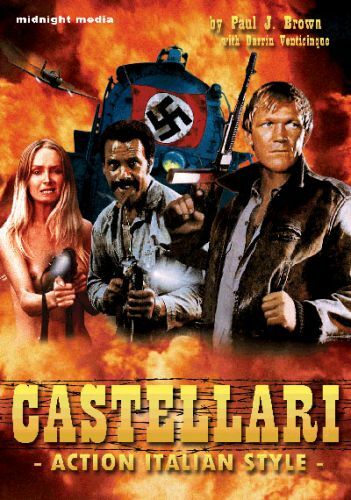 The Italian Master of Action Cinema, Enzo G. Castellari, has delivered many classic movies throughout his career as a film-maker. His filmography includes Spaghetti Westerns, War Epics, Futuristic Post-Nuke Adventures and Ultra-cool Police Thrillers. Titles such as 7 WINCHESTERS FOR A MASSACRE, KEOMA, JOHHNY HAMLET, JONATHAN OF THE BEARS, EAGLES OVER LONDON, THE INGLORIOUS BASTARDS, THE LAST SHARK, COLD EYES OF FEAR, THE NEW BARBARIANS, THE BRONX WARRIORS, ESCAPE FROM THE BRONX, HIGH CRIME, STREET LAW, DAY OF THE COBRA and THE BIG RACKET are among his many credits.